For the first time in history, you now have access to a radio station for personal development! For all of you who have come to this site from around the world, you no longer have to be sad about the fact that you don’t have access to the stuff I talk about! It’s here! …or maybe I should say there! Rascal Radio by LIFE Leadership is the world’s first online personal development radio service. 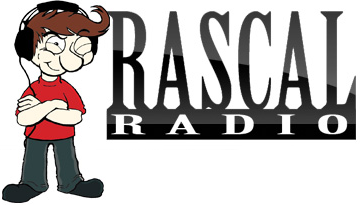 Rascal Radio is centered on LIFE’s 8 Fs, Faith, Family, Finances, Fitness, Following, Freedom, Friends and Fun. Subscribers have unlimited access to hundreds and hundreds of audio recordings that they can stream endlessly from both the LIFE Leadership website and the LIFE Leadership Smartphone App. Listen to one of the preset stations for each of the LIFE’s 8 Fs or customize your own based on speaker and or subject. Of course, you can easily skip tracks or “like” as many as you want. If you are listening from the website you can purchase any one of these incredible audios. Subscribe monthly for just $49.95 and let Rascal Radio provide you with life-changing information to help you live the life you’ve always wanted! Now you have a radio station that will teach you to be a better parent, to have a better marriage, to give you better people skills that will give you huge leverage in getting ahead in your career. You can learn to get out of debt, keep yourself motivated to succeed and so much more;!You can learn about the principles of freedom, and how to lead yourselves and your countries to a better life! That is not to say you’re bad in any of those areas. I’m loving the fact that I learned things that I didn’t even know I didn’t know, and happy to have gotten even better in areas where I was already good! What is really interesting is that you don’t even have to worry about paying for something you’re not sure about. 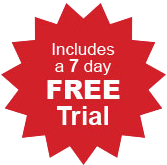 You can try it out for free for 7 days! And if you like what you hear, just imagine how you can now have access to hundreds of talks , with more being added, for only 49.95$! I hope you enjoy this new feature as much as I do!